Suffrage 125 is a momentous day for allied staff women across the New Zealand tertiary education sector, and it is also an opportunity for the whole sector to show it truly does value the vital role allied staff women play, said Shelley Weir, National President of TIASA Te Hononga (the Tertiary Institutes Allied Staff Association, which represents the majority of non-teaching (allied) staff throughout the NZ’s tertiary education sector). “ Those courageous women who worked so tirelessly to give us the fundamental human right to vote and have an equal say today, continue to inspire us and we own them a huge debt of gratitude. But there is still a great deal of work yet to be done before true equality is achieved”. Shelley Weir said. “Our union could be seen as a model for true equity in that women, Maori, Pakeha, and other ethnicities, run the union. Women have an equal or greater share in all decision making across every level of our structures, from top to bottom. Our membership is almost three quarters women, so that is as it should be. But it was not always that way. Many years and much effort has been spent transforming us into a truly equitable and equal organisation”. “Sadly, the same cannot be said of the tertiary education institutions, wananga and universities with whom we deal across the sector, and it is certainly not the experience of women allied staff members who work in them. Across every indicator, institutional bias, conscious or otherwise, and discrimination continue to impact women allied staff. Their pay, career paths, opportunities, recognition and employment security today still continue to lag behind. Almost always it is women allied staff who are the first targets for downsizings and to have their pay, conditions, employment tenure and security reduced or removed. They remain grossly under recognized in terms of the value of their real contributions to the organisations and the system of which they are a key part. Even when often at least as well qualified and often better than those they work alongside, women allied staff are still too often relegated to a status somewhat between that of a handmaiden and a quietly deferential servant. Too often the views, expertise and skills of a women allied staff member are simply discounted, even over matters that directly affect her. “It is past time to change this wasteful, discriminatory and unjust state of affairs. Pay equity is only one of the issues whose time has come for our sector. Grand-sounding declarations, policies and programme are no more than mere words unless they are put into real action. Almost a quarter of the way into the 21st century, pay equity for women allied staff is only one of the issues whose time has come for our sector. It is time for our sector to develop a true model of genuinely equal employment opportunity that can be a role model and exemplar for other New Zealand employers. Allied staff, about 75% of whom are women, are the glue that holds the tertiary education sector together. It is past time they were properly recognized. 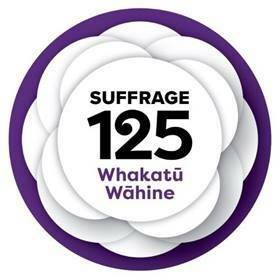 Suffrage 125 is a great opportunity for our sector to act to show its commitment to proper recognition of the immense value allied staff women bring to the sector”, Shelley Weir said. For further comment contact: Shelley Weir, National President, TIASA Te Hononga.